The community takes its name from Dr. Robert Faught. The fledgling community had a mere 20 people before acquiring a post office in 1893 with Dr. Faught becoming postmaster. The post office closed its doors in 1905 although two businesses continued into the 1930s. 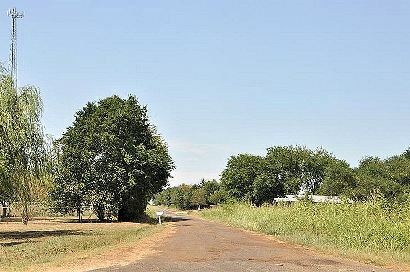 A church, school and cemetery remained on maps. 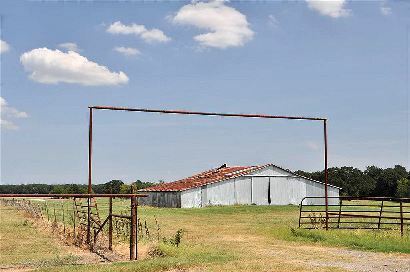 Proximity to Paris hurt Faught but the community still had a business as of 1990 and a population estimated to be 25. 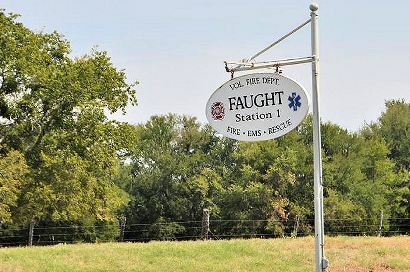 Regarding the population of Faught, if Faught is considered to be comprised only of the area between the two state signs, there has never been a population of 100. 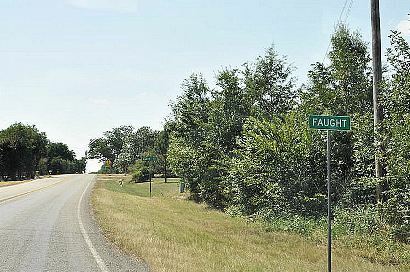 To this day, many people claim to live in Faught that are about a mile or so outside the two state signs. Due to the explosive development of highway 195, there have been many huge houses constructed in �Faught� in the past 10 years or so and the total population is well over 100.